We pride ourselves on our dependable trust, our strive for success and overall rapid response rate to those in need. Always trying to go above and beyond your expectations to safeguard your satisfaction, which at the end of the day besides getting you off the road is the most important thing. 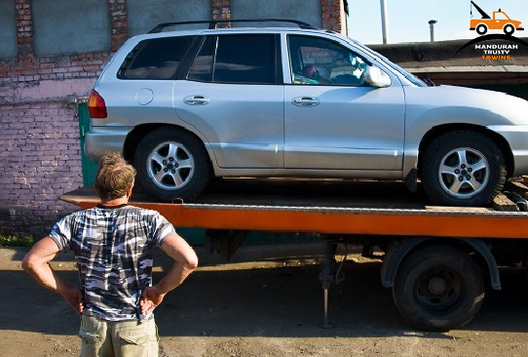 When it comes to towing, make Mandurah Trusty Towing your first point of contact each and every time. Forget shopping around, long stranded waits, expensive bills and poor service. Whatever the time of day or night, you won’t be alone for very long. 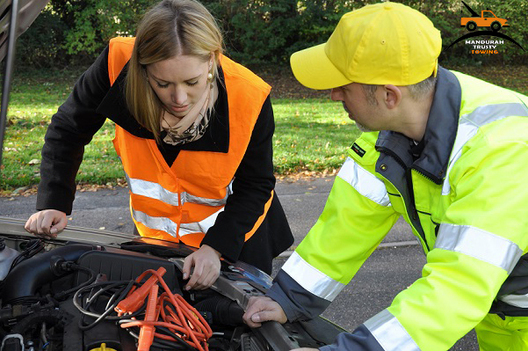 Trust us to make it to you and help out 24/7 regardless of your towing or roadside assistance needs. Whether it’s car troubles, which have you broken down, a flat tyre or an empty tank holding you back or some other transportation need. With vast amounts of experience in this industry, with having all of the tools and tricks of the trade. Fair and affordable. Needing a tow is bad enough, what would be worse is an expensive bill. Fortunately, our prices are affordable and reasonable. Based in the heart of Mandurah Western Australia, serving the local and surrounding communities, Mandurah Towing Service has been built on the base of providing the very best at the very least. With services sophisticated enough for even the most unconvincing party, the residents of Mandurah and surrounds including yourself are covered in cream on a cake. Your one stop shop for everything tow truck related. Look all you want, but everything you need is here in the one place, with a reputation that truly speaks for itself. Knowing the area, knowing the people and knowing what’s needed makes all services silky smooth. Our business, tow trucks and drivers, are all fully licensed, insured and registered allowing you to have confidence in knowing that professionals are at work. Contact us today to speak to a Mandurah Trusty Towing staff member. 08 9468 7220.